Is it better to get vitamins from foods or supplements, and are natural vitamins better than synthetic vitamins? It is generally best to get your vitamins (as well as minerals) naturally from foods or, in the case of vitamin D, controlled sun exposure. For example, multiple studies have shown that calcium from foods is safer than from supplements. Older women who get high amounts of calcium from supplements seem to have a higher risk of kidney stones, strokes, and even a greater risk of dying over periods of time. A small increased risk of death has also been seen in studies of people taking supplements containing vitamin A and beta-carotene compared to those who don't. An analysis of data from the National Health and Nutrition Examination Survey (NHANES), among approximately 30,000 adults in the U.S., found that adequate daily intakes of vitamins A and K, magnesium, zinc, and copper from foods — but not from supplements -- were associated with reduced risk of dying over a period of time. The study found that no vitamin or mineral supplement (including multivitamins) was associated with a decreased risk of death from cardiovascular disease or any cause after adjusting for factors such as age, gender, eating habits and lifestyle (Chen, Ann Intern Med 2019). Exceptions to the "foods are better" rule are two B vitamins. Ten to thirty percent of older people don't properly digest and absorb natural vitamin B-12 from foods, so it is recommended to get B-12 from a supplement if you are over age 50. Folic acid (vitamin B-9) from supplements and fortified foods is absorbed better -- about 70% better -- than folate from regular foods such as spinach. Consequently, pregnant woman are advised to get folic acid from a supplement (or fortified food) as well as regular foods. Also keep in mind that if you get your iron from plant foods, it is absorbed only half as well as iron from meat -- although eating your spinach (or iron supplement) with a source of vitamin C will boost the absorption of its iron. Using supplements made from whole foods won't necessarily give you more vitamins (in fact, they typically contain more modest amounts of vitamins than other dietary supplements), but you will get other plant compounds which could be of potential benefit (as well as some grams of fiber if you are consuming, for example, spoonfuls of a whole food powder as opposed to a pill). Paying a premium price for this, however, may not be worthwhile and ConsumerLab.com has found lead contamination in some whole food and "greens" products. 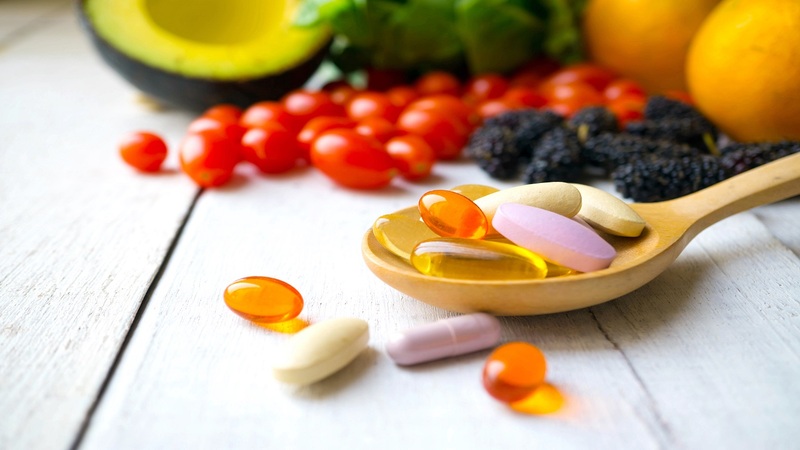 Regarding natural vs. synthetic forms of vitamins in dietary supplements, sometimes natural is better, sometimes synthetic is better, and sometimes it doesn't matter. Keep in mind that all can help prevent or treat deficiencies and other conditions, and nearly all are known to be harmful at too high a dose. Natural may be better in the case of vitamin E. At low doses, either natural (d-alpha-tocopherol) or synthetic (dl-alpha-tocopherol) can be fine, although you need more IUs of synthetic (1.6 IU) to get the same amount of active vitamin E as from 1 IU of natural vitamin E. There is also a greater risk of bleeding problems with synthetic vitamin E at high doses, so that the upper limit for vitamin E for adults is 1,100 IU of synthetic vitamin E, but 1,500 IU of natural vitamin E. Naturally, vitamin E also contains other tocopherols and tocotrienols, which may have benefit. However, ConsumerLab.com tests show that not all "natural" vitamin E products contain these additional natural compounds. Natural may also be better with vitamin K. A form of vitamin K-2, known as MK-7, naturally derived from fermented soy beans and used in supplements is better at raising vitamin K levels than supplements with synthetic K-1 or synthetic K-2, known as MK-4. Natural or synthetic sources are both fine for getting vitamin C. Rose hips or acerola or synthetically produced vitamin C all provide the same compound -- ascorbic acid. The inclusion of citrus bioflavonoids (naturally present or added) may improve absorption. Sometimes synthetic forms of vitamins offer advantages over natural forms. A synthetic form of niacin (vitamin B-3) called inositol hexanicotinate, for example, causes less flushing of the skin than niacin. Although not a vitamin, lycopene supplementation may be helpful in reducing the risk of certain cancers and, in one study, was associated with reduced mortality, particularly from cancer. Consumption of tomatoes, which is rich in lycopene, has also been associated with a reduced risk of certain cancers and death from cancer. Use the links above to get more information about each vitamin or mineral, including ConsumerLab.com's tests and reviews of supplements containing those nutrients. For recommended daily intakes of these and other vitamins and minerals also see the Recommended Daily Intake tables, which includes upper intake limits. I learned that we do have to be careful about consuming vitamin and antioxidants as synthetic isolates as it could cause an imbalance of the other synergistic nutrients that are typically found with that nutrient in natural foods. This in turn, in the long run, could cause other detrimental effects in our body. Admittedly, as mentioned by another, sometimes we have issues that prevent us from absorbing all the nutrients in our food or our food is unknowingly of poor quality, etc. Additionally, I've discovered from joining a health group online, that soaking eggshells in lemon juice or apple cider vinegar and then consuming a teaspoon or so of the mixture daily is a good natural way to consume some calcium (& other nutrients) especially if one can't drink milk. For Vitamin B complex, since I can't consume much grains, I use Brewer's Yeast that is non-GMO and derived from beets. Tastes delicious and is a whole-food. I also try to consume some grass-fed beef liver each week altho I dislike it so! For Vitamin C, I take some Camu Camu powder periodically throughout the day, in addition to freshly squeezed lemon juice and blending the inner rind in a green smoothie in the mornings for the bioflavanoids. For Omega 3's, DHA/EPA, Vitamin D and A, I use naturally processed Cod Liver Oil daily, instead of their isolates or cod liver oil that adds back the isolates after processing. Here is a thought; if your gut/stomach doesn't work properly, you are likely not able to absorb all nutrients from our already poor quality food (these days). So, imho, one needs supplements (and plenty of them) - especially if one is sick in any degree - to "make up" for our poor quality food, poor air/water quality (in various areas), and finally or general health state. It was only when I started coming out of my sicknesses (after many supplements for a long time - read 'years') I realized how far in I was. Tip; stop wine/beer, stop smoking, try and eat healthy, don't eat pre-prepped food, take supplements as per your own biological need and makeup, don't underdose supplements (take therapeutic doses) and wait 1-3 years to see results, but adjust along the process with what clearly works and what clearly doesn't work, keeping in mind you may have some Herxheimer like reactions along the way, so don't stop that supplement before you are sure it's not good for you. This is from a person who has tried 150-200 supplements, if not more, for years, and continues to take about 40-50 of them every single day. But then again, we have poor water, poor air (pollen etc. ), issues with body function and issues with heart health. This is not medical advice, do your own research please. NHANES is a survey and not a double blind study by Ann Chen Intern Med 2019 is this correct ? Without lab tests and knowing food and supplement needs and if they were actually getting what they thought it seems a little bit of a stretch in comparing the two. It makes little sense to me on the surface. Can you explain why this study is definitive and in what way. Thank you. Yes, NHANES is a survey and only associations can be determined, not cause-and-effect relationships. It is properly characterized as such in the answer above. It seems almost impossible to eat as much food as is necessary to provide all the vitamin requirements as suggested by the FDA, especially when gluten and casein allergies are involved. I'm not for the synthetics because it is clear that they are different then nature! So I hope that you investigated it more because synthetics are not the way to go. Maybe for some in critical condition like intravenous C but the natural form of C has more components like the bioflavonoids & Co so synthetic C is no vitamin C at all! And that is for al the lab-made vitamins! Investigate when researchers in the lab uses light to the naturals vs the synthetics. The light bounces different in the naturals vs the synthetics so it is not the same. And the body have more problems with the synthetics to make something from it because it must uses up natural resources that it has to bound it with synthetics so you see that we do not play with it like gods and do a better job then nature has done it. Only this last sentence says it all in my mind and synthetics are also cheaper and the most studies are done with synthetics and why is that? It's al to do with time and money and nothing with our health. That's my take on it with years of studies. Hi Kevin - If you are able to get and absorb sufficient amounts of all essential nutrients naturally from foods, and your body is able to utilize them, that's great and the best way to go. However, as noted above, there are many situations in which synthetic forms are helpful due to difficulties people have with extracting, absorbing, or metabolizing natural forms of certain vitamins. These situations are not rare, as you suggest, but affect many people, such as older people who have trouble extracting/absorbing vitamin B-12 from food. I think research studies prefer synthetic to natural because they are more pure and better characterized, not because they are cheap. A reagent grade synthetic is often expensive. The down side of this, and perhaps why NHANES sees only the whole food as helpful is that co factors and variations on what the synthetic form is (for example carotines from carrots) are not included in the study. What about fortified foods? Is orange juice fortified with calcium actually be any safer than a calcium supplement? If so, why? Calcium from calcium-fortified orange juice would likely have the same benefits and risks as as calcium from a supplement. I wonder if my body adapts to getting vitamins from pill will not take effort to get it from food, does one cancel out the other if you eat healthy and take pills? I always hoped I was filling in gaps. Hi Tony - We've now added a CL Answer about natural and synthetic astaxanthin (https://www.consumerlab.com/answers/%20/astaxanthin/) and additional information in the Fish Oil and Omega-3 Fatty Acid Supplements Review (https://www.consumerlab.com/reviews/%20/omega3/#syntheticastaxanthin). This CL Answer initially posted on 7/18/2012. Last updated 4/12/2019.